American society may be youth-obsessed. But when it comes to funding what Americans expect their government to do for them, props go to people who are middle aged and older. 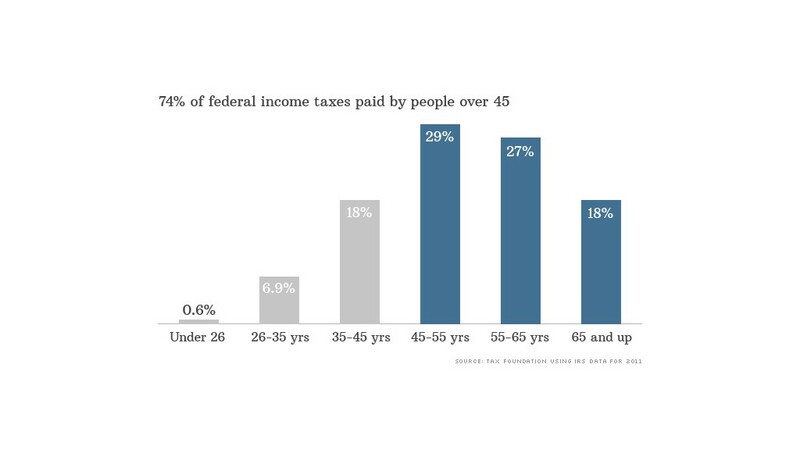 Nearly half of all tax filers are over 45. And they are paying the lion's share of federal income tax revenue -- 74% in 2011. That's up from 61% in 1997, according to an analysis of IRS data by the Tax Foundation. The biggest jump during that time period was among 55- to 65-year-olds. Their share of income taxes paid rose 9 percentage points. That shouldn't be too surprising. "It's largely a function of the life cycle that drives those numbers," said Roberton Williams, a fellow at the Tax Policy Center. For one thing, a large portion of the population has gotten older since 1997. The youngest of the Baby Boomers are now on the cusp of 50. And one's peak earning years tend to hit in the late 40s and 50s. Those between the ages of 55 and 65, for instance, had the highest average adjusted gross income ($81,859) of any age group in 2011. Men and women 45 to 55 weren't far behind ($80,195). By contrast, the average for all tax filers that year was $57,606. More than 80% of tax filers with income over $1 million were over 45, and nearly half of those were older than 55. "As the Baby Boomer generation moves into its peak earnings years, there will be more high-income taxpayers than younger, low-income ones, giving the appearance of rising inequality," the Tax Foundation noted in its analysis. Looking ahead, after the Baby Boomers will come the next group of middle-aged filers -- Gen Xers, then Millennials -- who likely will also dominate the ranks of taxpayers when their time comes. 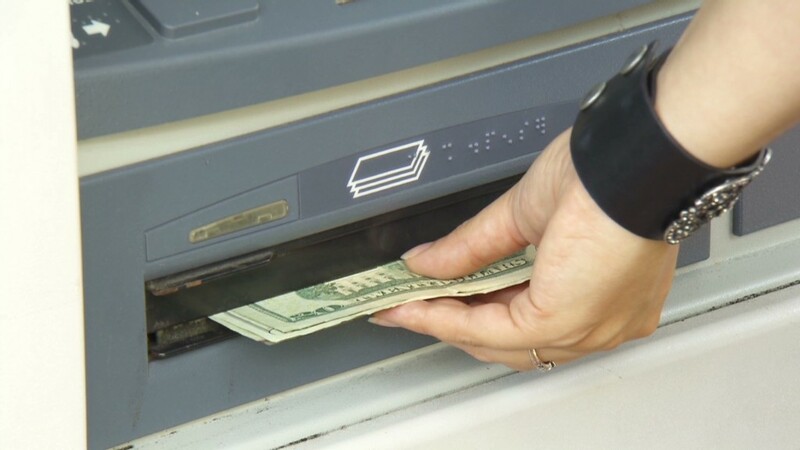 This story is part of a CNNMoney series exploring Americans' real tax burden. We'll look at who pays the most and who pays the least; and why two people with the same income can have very different tax bills. We'd love to hear how you feel about your tax burden at #YourEconomy.